This course equips you with the skills to become a sought after interior decorator or stylist. Intensive yet practical, it focuses on interior decoration for residential spaces, introducing you to global influences and inspiring you to achieve your own sense of style. The Certificate IV in Interior Decoration provides students with a comprehensive education across all facets of interior decoration to enable a smooth transition into their chosen career path. Under the guidance of teachers who are industry professionals, students learn creative, practical and business skills as well as gaining invaluable insider knowledge from leaders within the industry. The most up to date software programs are utilised which enables our graduates to leave with a high quality portfolio of work, including kitchen and bathroom design projects. Students are also able to use this course as a pathway to Bachelor of Arts (Interior Design) and Diploma of Arts (Interior Design). This course of study is available either as an on-campus student, studying at our Cromwell Street Campus or through our interactive online platform. We offer a leading online interior design program, where students are engaged through a variety of live classroom activities, as well as video demonstrations and weekly live online tutorials. 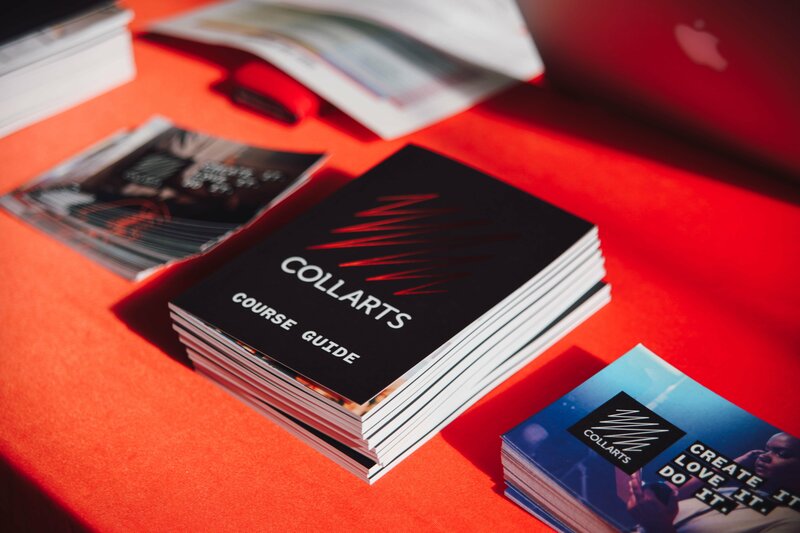 Students will have access to all of Collarts' campus facilities, but require access to Adobe Creative Cloud software and specified art materials. Online students are encouraged to attend practical intensives throughout the year. There may be some additional costs when studying this course. It’s difficult to be precise about what these might be as each student will have different expectations and requirements. It is a requirement of the course to have access to Adobe Creative Cloud and the necessary art materials. There is a simple portfolio requirement as part of the enrolment process. You will be advised on this once your application is received. The Certificate IV in Interior Decoration is delivered at the Cromwell Street Campus under the authority and license of Collarts | CRICOS Provider Code 03392K | RTO. 0109. The total cost for the Certificate IV in Interior Design is $9,950 (on-campus) or $7,500 (online). There may be some additional costs when studying this course. It’s difficult to be precise about what these might be as each student will have different expectations and requirements. It is a requirement of the course to have access to Adobe Creative Cloud and the necessary art materials. You may also be required to purchase other items related to your program, including field trips, textbooks and equipment. These additional fees and expenses vary from program to program. If you’re a Victorian resident, you may be eligible for Skills First funding for our Certificate IV in Interior Decoration. Skills First is a Victorian Government scheme that helps people access vocational education and training. If you are eligible, the government will contribute to the cost of your training. Collarts is currently offering government subsidised places for the Certificate IV in Interior Decoration MSF40113. You can check if you are eligible for a government-subsidised place by using the government’s online Victorian Skills Gateway Eligibility Indicator. Note: this indicator is to be used as a guide only. It does not guarantee you a government-subsidised place in a Mercer nationally recognised course. Mercer will determine your eligibility by conducting a full assessment of your eligibility during the course application process. be an Australian citizen, or a holder of a permanent visa, or a New Zealand citizen (visa 444). If you are 20 years of age or over as at 1 January in the year you start your course, you may be eligible for a government-subsidised place if you are applying for a qualification higher than any other qualification you have already completed (in addition to meeting all other eligibility criteria). Students of any age whose existing highest qualification is a VCE, VCAL, International Baccalaureate Diploma, or an Australian senior secondary school certificate, may be eligible for a government-subsidised place in a Certificate II level program or above. have, in your lifetime, started two or more programs in a government-subsidised place at the same AQF level (e.g. Advanced Diploma) as the program you are applying for. What are my options if I’m not eligible? If you are ineligible for a government-subsidised place, you may be offered a full-fee place. You can get an estimate of your total course cost by checking the indicative course fees. Depending on your circumstances, you may be eligible for a concession to help reduce the amount of fees you need to pay. Concessions on tuition fees are available for government-subsidised training in all courses below diploma level; and for training at any level (including diploma level and above) for Indigenous students. Please contact our Future Student Advisor on 1300 818 777 during business hours if you think you may be eligible. Mercer School of Interior Design offers students the opportunity to experience the industry up-close through local and international study experiences, providing all of the essential skills for a successful career in design. Dedicated to creating and shaping the next wave of interior design, their studio-style space and small class sizes guarantee that students receive the first-hand guidance they need for a successful future in the field.